At the Safe Deposit Federation, we receive questions on a regular basis enquiring about the benefits of renting a Safe Deposit Box from an independent facility versus the more traditional Bank facility. 1) No Bank Account Required. If you wish to avail of a box at a Bank, the bank will insist on you opening a Bank account with them. 2) Insurance Cover Available. Independent facilities generally offer insurance options when renting a box. Banks tend not to offer insurance. 3) Cash storage Allowed. Most Banks do not allow Cash to be stored in a Safe Deposit Box. 4) Longer Opening Hours. Most Banks are only open 5 days per week. 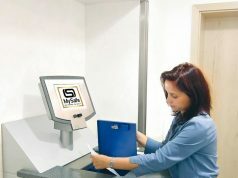 Independent Safe Deposit Box facilities are generally open 7 days per week. 5) No Charges per Visit. Some Banks charge each time a customer wishes to access their box. Independent facilities generally offer unlimited access. 6) Banks offering a Safe Keeping Service often store your valuables in an open vault in the basement of the Bank. The items are not segregated unlike having your own Safe Deposit Box. 7) Most banks do not offer Privacy Rooms in their vaults. Most private Safe Deposit Box facilities offer privacy rooms. In addition, you will be aware of previous financial crises when Banks were closed and access to Bank accounts and Safe Deposit Boxes were withdrawn or severely limited. This was certainly the case in Greece and Cyprus in recent times. 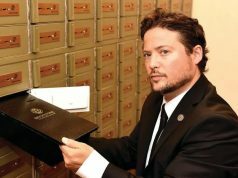 Independent Safe Deposit Box facilities are not impacted by global financial turmoil.